It's Mother's Day here in Australia on Sunday and I wanted to post some wonderful gift ideas for either yourself if you're a mum or to buy for your mum! I think Mother's Day is a really great opportunity to buy something for your mum that she wouldn't buy herself. While it might sound sappy, it's not really about the gift that you buy but about the thought and effort you've put in to finding her the perfect present. Here are my suggestions on things that I would love to receive and think that your mum would love too! It doesn't matter if your mum reads everyday or just when she's on holidays, a book is always a great gift. It could be a crime novel like Big Little Lies, a Chanel coffee table book or even a cookbook if she loves to cook. There's so many wonderful books out there that your mum would love. A magazine subscription is also a wonderful gift that keeps giving all year long! Sometimes it's difficult to find a gift for mum because she most likely already has everything she needs. 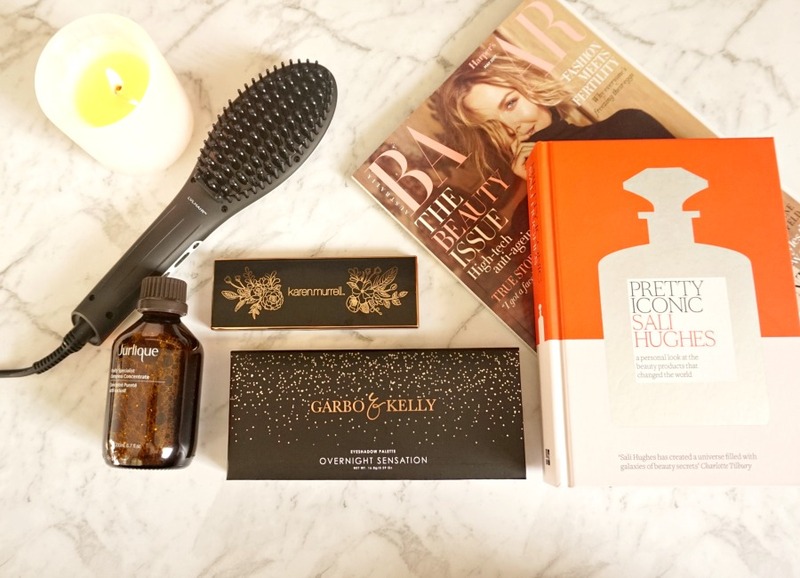 But hair straightening brushes are relatively new on the market and this would be a great time saving gift for any mamma that loves sleek and shiny hair. 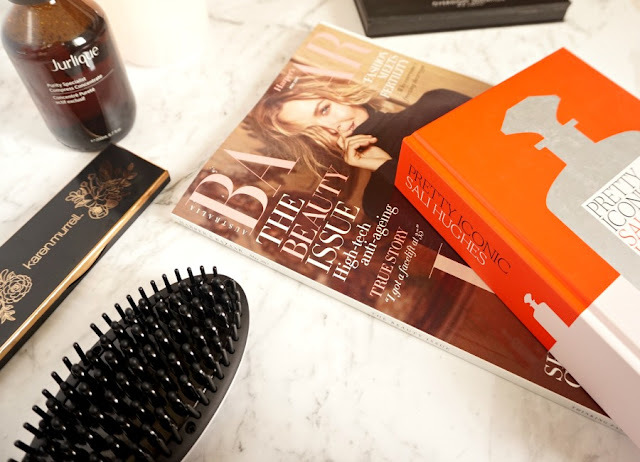 The LVL Hair Straightening Brush will leave your hair straighter, shinier and sleeker in only minutes. 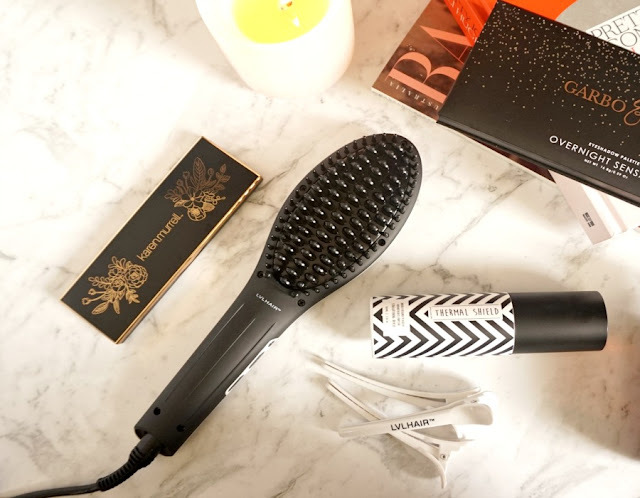 Unlike a typical hair straightener, this doesn't leave your hair looking flat and lifeless. If you have fine hair, this helps to make it look sleek while still giving your hair volume and body. A palette is a great gift because they can use it to create a lot of looks. An eyeshadow palette is a great pressie because it's so versatile. 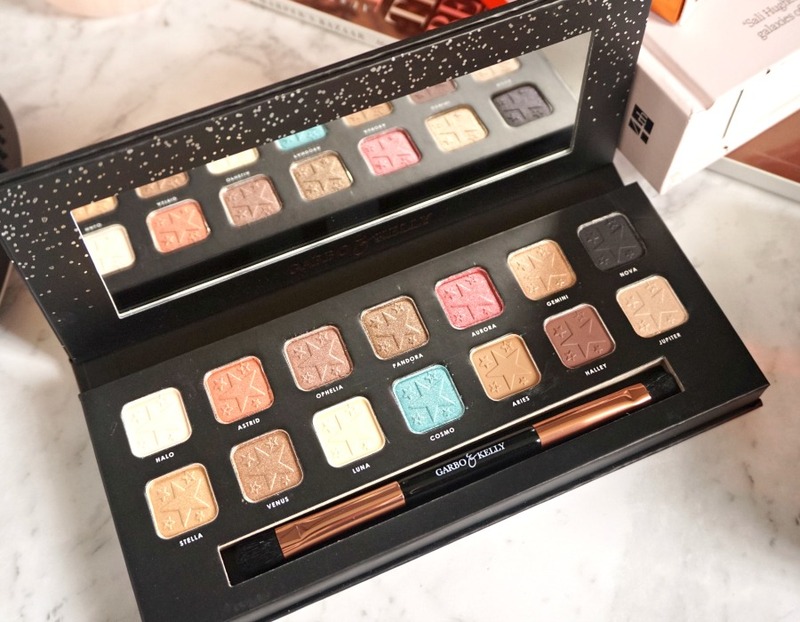 Most eyeshadow palettes have a mixture of shimmers and mattes so your mum can use it to create a simple day look or to create a fun or vampy look for those rare times she gets to dress up and party! This Garbo & Kelly Overnight Sensation Eyeshadow Palette not only looks incredible (check out the cute stars on the mirror!) but also has amazing shades. There's 14 shades and while most of the shades are very neutral and wearable, there's also some great pops of colours for when she wants to do something different. 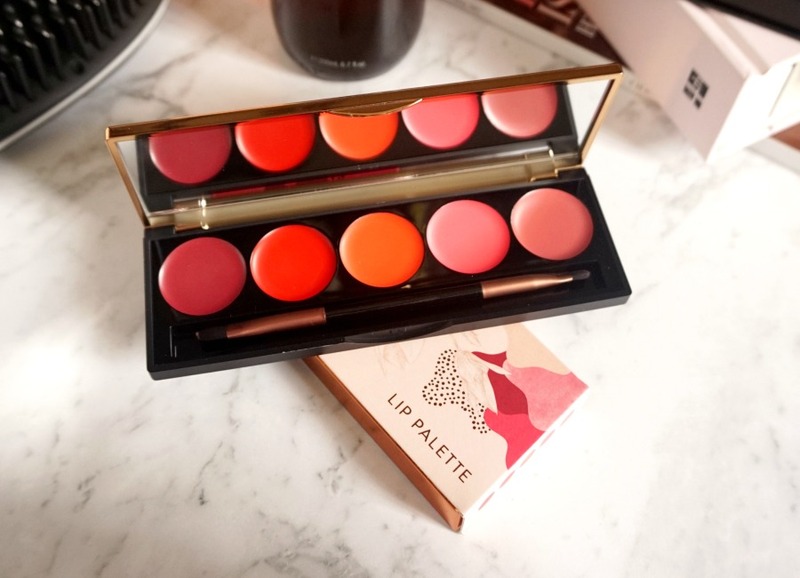 If she already owns a lot of eyeshadow palettes then a lip palette is a great alternative. The Karen Murrell Lip Palette* is AMAZING!!!! I'm going to go out on a limb and say this will be in my top 5 products of 2017! I adore EVERYTHING about it. Firstly the outer packaging is so beautiful. There's been so much time and effort put into not only making the actual product beautiful, but also the cardboard packaging. The 5 shades are a nice mix of brights and softer shades. I could throw out all of my lipsticks and just use this for the rest of my life! It's unusual for mums to take time out to go for a facial or a massage so it's an amazing gift to give your mum. Jurlique do incredible facials and massages. They mix skincare knowledge and education with luxurious pampering. While it always feels so relaxing having a facial and massage, I always leave with a new skincare tip! It's been a little while since I last went so I need to go soon as I've found my skin has changed lately. 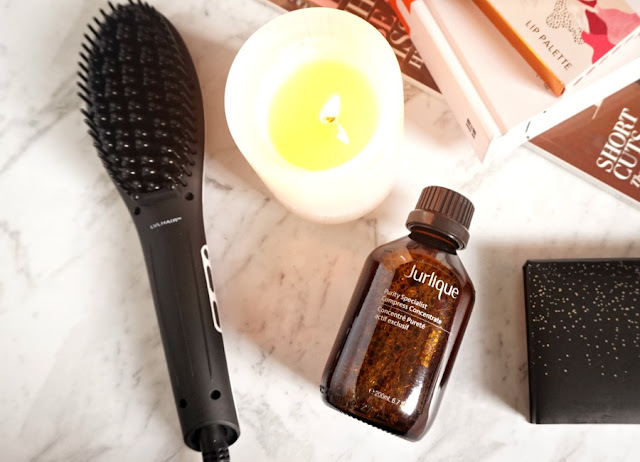 If you don't have a Jurlique day spa near you, then picking up their skincare is the next best thing. I love the Jurlique Purity Specialist Compress Concentrate* and the matching Purity Specialist Treatment Mask. It's a 2 step system that helps to open up your pores, deeply cleanse your skin and also exfoliate it. Candles and fragrances are one of those products that you will rarely buy for yourself unless you're a candle or fragrance addict. They're normally seen as being a little bit extravagant and sometimes not a necessity, although in my house I put on a candle nearly every day! Getting a candle or fragrance for someone is always a great reminder as every time they'll use it they'll think of you (hello brownie points for when you want to ask mum for a favour!). Have you picked up your Mum something yet? These were really great suggestions! I've heard to try that straightening brush for so long now. Everyone has been raving about them! I recently was given a hair straightening brush! Best hair appliance ever! I love it.